If you’re the type of person who feels like every new occasion needs a brand new outfit, you might want to keep reading. First off, I want you to know something. It’s not your fault. Have you ever noticed how one quick flip through a celebrity magazine can make you feel completely bad about yourself? You start wondering how some celebrities manage to look so polished all the time. Then you start asking yourself, why not me? And, that’s where the problems begin. Comparison is the devil. It can drive you to do things you wouldn’t normally do … like attempting to replicate looks that you see in the pages of a magazine, for example. And, what happens when you don’t get the results you’re looking for? You’re left with a closet full of clothes that don’t make you happy. But no need to worry. Check out these three easy actions you can take to avoid the trap of buying more than you need. Make a list – How often do you do your weekly grocery shopping without a list? My answer is never. Because it’s all about preparing and knowing what I want the outcome of my grocery shopping experience to be. I want to walk out of the store with the supplies I need to prepare delicious and healthful meals for my family. That same logic should be applied when you’re shopping for clothing. Having no specific plan in mind is like going to the grocery store on an empty stomach. With no taste for anything special, suddenly everything looks good, which increases the tendency that you’ll buy something that you don’t need. Sure, it might satisfy an immediate want, but will it meet your long term needs? A clothing plan is a way to help you stay objective and focused only on the necessities. 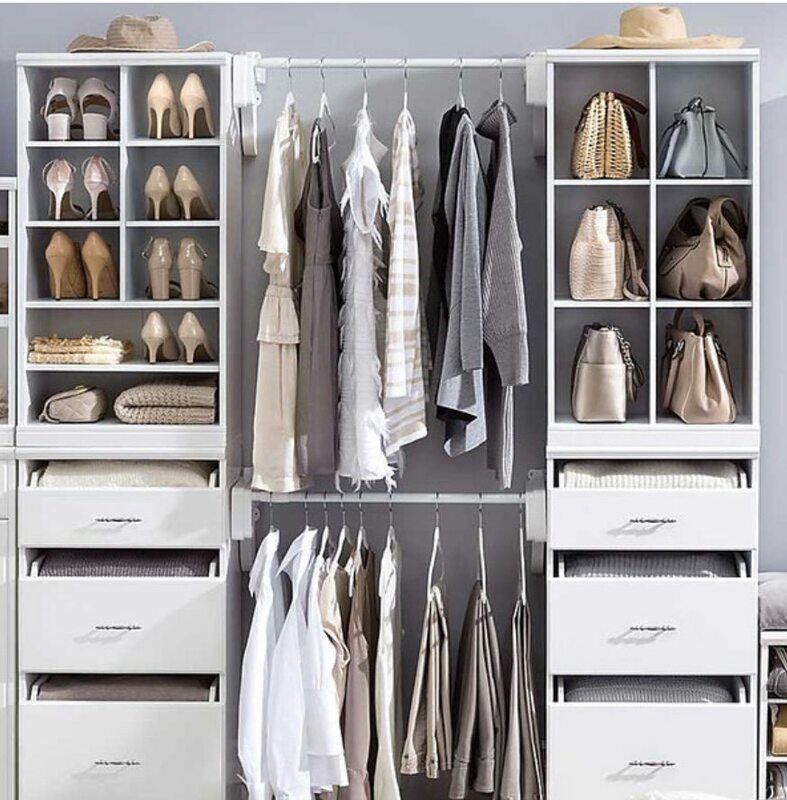 Identify your wardrobe mainstays – Figure out the most multifunctional pieces in your closet – your go-to’s, the repeaters that you tend to reach for time and time again. Typically your mainstays are going to always look appropriate for the activities you participate in the most and they’re going to work with many other pieces in your wardrobe. Spend your money where you spend the most time – Once you figure out which clothes you wear most often, ask yourself if they function well with the lifestyle you’re currently leading. In other words, do your clothes match your lifestyle? If you’d rather go hiking or for long walks on the beach, it suddenly becomes a lot clearer why those skirts and dresses you have keep getting pushed to the back of your closet. If an item is only good for one or two wearings, it’s probably best to leave it in the store. Drop a line in the comments below and let me know what you think.